Since Timber Press is one of my publishers, I always check out their new books on plants and gardening. This recently published work by Linda Chalker-Scott caught my eye because of my equal love of science–my botanical obsessions, that is. 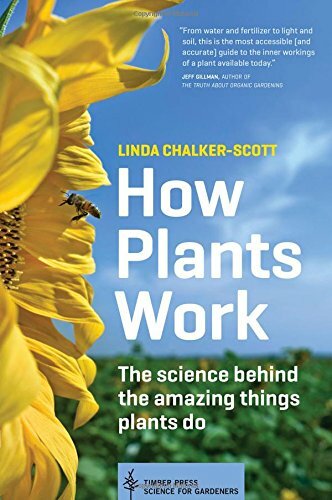 How Plants Work: The Science Behind the Amazing Things Plants Do is an excellent reference book for the home gardener or microfarmer, but I didn’t always agree with the author. One bone of contention is about the use of gardening fabrics, also called “geotextiles” and “weed barriers.” Ms. Chalker-Scott hates them but I love them. She writes, “weeds love landscape fabrics” and points out that blown-in dirt and dust can build up and form soil on top the fabric, where weeds can germinate. This is true to a certain extent in xeriscape situations like our front yard where an occasional weed sprouts, particularly silverleaf nightshade, but still, the fabric prevents hundreds more from sprouting. In the garden, she writes, the fabric after a while does not allow water to penetrate because dust fills up the tiny holes in the fabric. I say she’s not using the fabric properly. 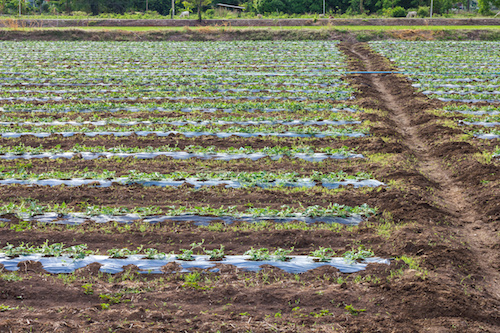 In the first place, in my raised beds, after organic material in rototilled into the soil, I lay down drip hoses to provide the water. 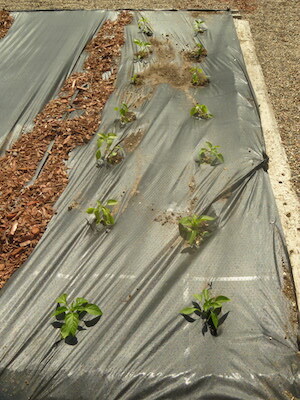 I cut holes in the fabric, plant all the vegetables, and then use bark mulch to hold the fabric now and reflect sunlight. Thus water is provided. And this fabric is replaced every spring, so dirt does not build up. She also suggests that newspapers are slightly better than fabric, but in the arid Southwest, I disagree because the paper never breaks down–it just dries up and sometimes blows away. 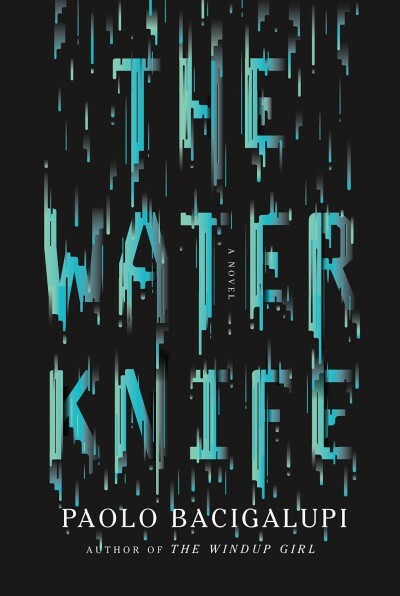 I believe the author lives in Washington state, where I imagine they don’t have to irrigate as much as I do here in the South Valley of Albuquerque. Although I disagree with some of her opinions, she taught me about C4 plants–mostly weeds–and why they are so hardy, like Bermuda grass, so I do recommend the book with a few reservations.